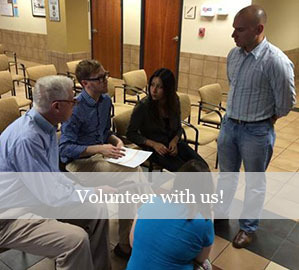 Email: jennifer@galeo.org / Office: 770.674.0551. (Atlanta, GA): April 12th, 2019 – GALEO graduated 25 new leaders from the GALEO Institute for Leadership at Georgia State University (GSU), in partnership with their Goizueta Scholarship program managed under GSU’s Latino Student Services & Outreach, which held a graduation reception on Friday, April 12th at the university campus. This is the 20th group of graduates resulting from GALEO’s leadership development efforts. The total number of GALEO Institute for Leadership alumni now stands at 660 people from across the state. GALEO Institute for Leadership graduates heard inspiring words from Georgia State University’s Director of Student Success, Eric Cuevas, LASO Coordinator, Libia Jimenez, Georgia Shift’s Advocacy and Policy Director, Maria Palacios, and GALEO Executive Director Jerry Gonzalez. Eric Cuevas shared a touching personal memory with the sophomore graduating class, of seizing moments that will never come by again and our responsibility as a community to help each other succeed. Jerry Gonzalez followed the keynote speech with a motivational discussion on the importance of leaning on each other to overcome tough moments in our personal lives and those of our community, as well as acknowledging the privileges we have and encouraging students to make the most of it while bringing their communities up with them. The graduation follows a serious commitment throughout the school year that develops basic leadership skills while also exposing the participants to other community leaders and potential opportunities for continued leadership development. Katherine Vega, Project Manager for Global Payments, Inc. The GALEO Latino Community Development Fund has implemented the GALEO Institute for Leadership to focus upon the leadership development of the Latino community across our state. As part of the GALEO Institute for Leadership, GALEO formed a strategic partnership with the University of Georgia’s Fanning Institute to expand and develop our joint efforts for the Community Leadership Program. The graduates dedicated more than 89 hours during 2018-2019 to complete seven modules, 3 trips, additional presentations and a group project. In addition, this GSU – GALEO Institute for Leadership Class of 2018-19 represented a diverse class with participants from various countries and counties across Georgia. The graduates were also encouraged to engage with the GALEO Leadership Council (GLC), which is made up of alumni from previous GIL sessions, as well as active GALEO Members. This leadership program was made possible in part by the Sapelo Foundation, the Mary Reynolds Babcock Foundation, the University of Georgia-Fanning Institute, Georgia Power, State Farm Insurance Company, GALEO and individual donors. For other questions regarding the 2020 statewide GALEO Institute for Leadership, contact Jennifer Zenteno Pearce at 770.674.0551 or jennifer@galeo.org. Pictures of the graduation are available upon request and are posted on http://www.facebook.com/GALEO.org. Sponsorship opportunities for the 2019/2020 sessions are available to invest in Georgia’s future leaders. Please contact Jerry Gonzalez, Executive Director, GALEO, at jerry@galeo.org.